Otelo da Mangueira, a musical stage-adaptation directed by Daniel Herz, is an ingenious transposition of Shakespeare´s Othello to the traditional Brazilian universe of the Samba Schools whose pageants attract thousands of tourists from all over the world every year. 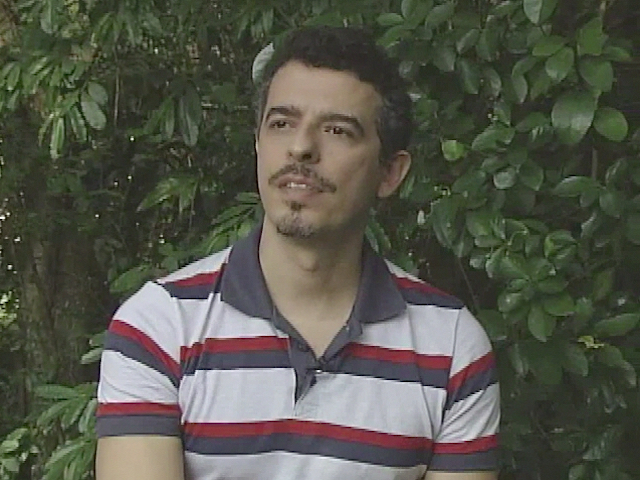 Gustavo Gasparani, who is the writer of the performance text, has succeeded in metamorphosing the main characters of the Shakespearian plot into a dispute for consecrating the samba-song at Morro da Mangueira, Rio de Janeiro, during the carnival of 1940, which is the year samba was raised to the category of national rhythm. The dispute, just as in the Shakespearian plot, puts into evidence the extreme conflicts human relationships bear, oscillating between love and hatred, and becoming destructive when aggravated by intrigue and excessive passions. 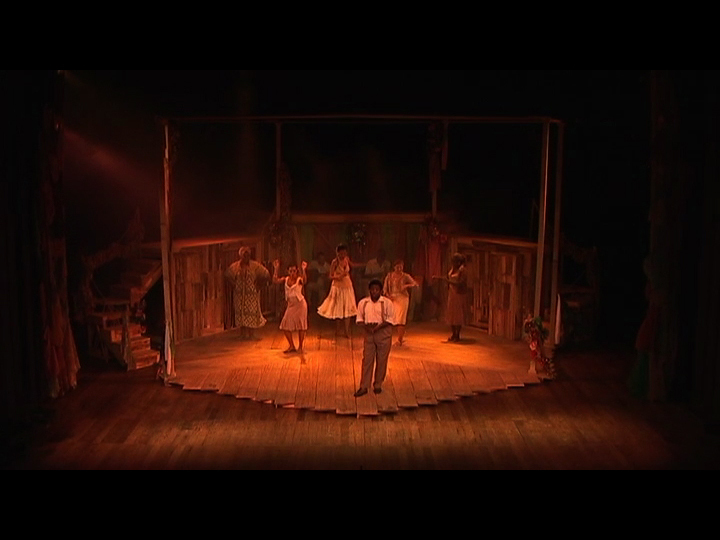 Just as most musicals, Otelo da Mangueira is divided into two acts: the nineteen samba-songs in the musical are creations of several composers, such as Cartola, Arthurzinho, Zé Ramos, Geraldo Pereira, Elpídio dos Santos, Nelson Sargento, Zé com Fome, Hélio Cabral, Cícero dos Santos, Gustavo Gasparani and Chico Modesto, among others. Gasparani’s text is a result of deep research about the composers´ songs from Mangueira. 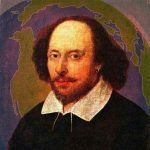 This way, lyrics that speak of passions, jealousies and treason, telling the daily life and events of the local scoundrels, perfectly adapt to the countless situations in the Shakespeare’s play. When songs are inserted into the dramatic text to serve specific purposes, those songs reach a dramatic function in the musical and help to tell the story. Although many successful musicals open with a few pages of dialogue before the opening number, audiences generally prefer when they start with music. When a musical is entirely sung or when songs are written especially for that musical, the opening number becomes a proper dramatic tool. In this case, at the end of the first song the audience will already have had access to the information that generally is contained in the exposition of the plot, such as, for instance, the place where the plot will develop, the type of characters that will be in it and which basic atmosphere will prevail. 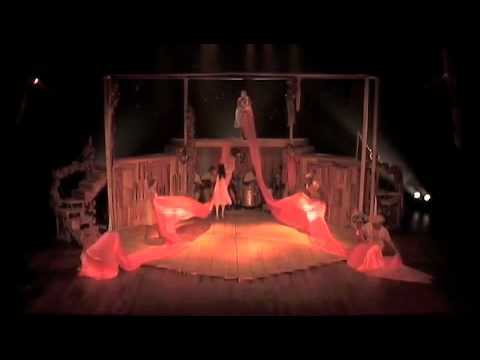 A slightly diversified process occurs in Otelo da Mangueira, exemplifying another option for composing musical theatre, that is, when songs that were previously created are inserted into the dramatic action, in an effective way and being used for specific functions. In Gasparani’s musical, the opening number (Song 1) is the samba Sala de Recepção (Reception-room), by Cartola: although it does not introduce action itself, through the exposition of the characters’ internal motivations and the insertion of other basic elements to set the plot, the opening song determines the tone for the rest of the musical, that may, or may not, be confirmed throughout the action. At the same time, it characterizes the Mangueira suburb, where the action will develop, as being inhabited by poor and simple people who have only the sun to heat them up. However, residents say that happiness lives in the suburb which they dwell because they are all soothed by the pride of belonging to Mangueira, of being the first champions and that the other samba schools even cry because they envy the highlighted position Mangueira occupies. Cenas do musical ” OTELO da MANGUEIRA ” com Patrícia Costa (personagem Nininha) cantando Alvorada do compositor Cartola. In Gasparani’s script, the tragedy of Othello, with its wars, generals and swords, was adapted to a hilltop favela wTranslated textith drug dealers, violence and the samba schools in the 1940’s. At that time, the samba was declared the Brazilian National Beat, driven by the Vargas era, and therefore the samba schools and their composers have been recognized and sanctioned by famous personalities such as Heitor Villa-Lobos befriended the samba composer Cartola and spent time with him in the Mangueira hill. “No texto de Gasparani, a tragédia “Otelo”, com guerras, generais e espadas, foi adaptada para o morro dos traficantes de drogas, da violência e das escolas de samba nos anos 40. Naquela época, o samba foi alçado à categoria de ritmo nacional, impulsionado pela era Vargas, e conseqüentemente as escolas de samba e seus compositores passaram a ser reconhecidos e prestigiados por personalidades ilustres, como Heitor Villa-Lobos, que fez amizade com Cartola e passou a freqüentar o morro da Mangueira. Features scenes with Patrícia Costa as Nininha singing music composed by Cartola. I love the set design for this production. In a play all about secrets and whispers, the stage gives tons of places for people to spy and be spied on. The set design is a deliberate re-creation of an Elizabethan theatre. It has multiple levels of action, both apron and internal stages, and two “doors” that permit fluid entrances and exits. This format permitted Otelo da Mangueira’s director to enact two separate, but connected, scenes simultaneously; such as when Dirceu and Jurandir (Iago and Roderigo) are spying on Lucíola and Candinho (Desdemona and Cassio). An interesting addition to the Elizabethan format are the two sweeping staircases (one on each side of the stage) that allow flowing transitions from one level to the other and are used to great effect in the final scene, in which Otelo kills Lucíola.